13/11/15 -- It was another bad day for the EU grains market, red across the board at the close, and with all showing significant losses for the week as well. At the close, Nov 15 London wheat was down GBP0.35/tonne at GBP112.55/tonne, Dec 15 Paris wheat was down EUR2.25/tonne at EUR177.00/tonne, Jan 16 Paris corn was EUR1.00/tonne weaker at EUR166.00/tonne, whilst Feb 16 Paris rapeseed fell EUR2.25/tonne to EUR372.50/tonne. For the week that puts London wheat GBP2.45/tonne lower, with Paris wheat down EUR8.75/tonne, corn EUR6.00/tonne easier and rapeseed EUR9.25/tonne easier. For wheat certainly the story is one of bumper global production (record in fact for a third year in succession) and the prospect for output at similar levels in 2016, only modest demand, fierce competition and rising stocks. "2015/16 French soft wheat closing stocks could be more than double last year’s figure and the highest since 1999/00, according to the latest supply and demand estimates published by FranceAgriMer yesterday," note the HGCA today. Total EU soft wheat export licenses to date meanwhile are 31% below year ago levels, even though the USDA only forecast total wheat exports in 2015/16 to decline 6.8% year-on-year. Euro weakness should help, but there's already a lot of lost ground to make up, and there's been a marked lack of evidence that this has helped that much so far this season. Wheat carryover stocks at the end of 2015/16 therefore look like being rather high. The USDA currently has these at 16.34 MMT, a 22.7% increase versus the end of last season - and that assumes that we can reach their ambitious export target this campaign. As far as global wheat plantings for the 2016 harvest go, the IGC recently forecast these at 221.0 million ha, down only marginally on 222.2 million a year ago, and slightly above the recent 5-year average. 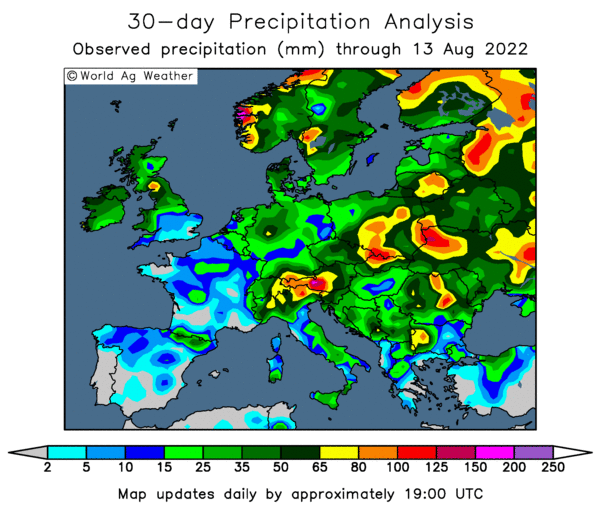 For sure there are concerns surrounding the health of newly planted winter wheat in Russia and Ukraine in particular, but whether these possible shortfalls will ultimately prove to be a "game changer" for the global wheat market is far from certain. UkrAgroConsult forecast the 2016 Ukrainian wheat harvest at 19 MMT in their first tentative peek into next year. That's down sharply from around 26.5-27.0 MMT this year, although this production loss could be tempered by an increase in corn output in Ukraine next year due to a rise in spring plantings and better yields than have been achieved this year. This situation could also be replicated in Russia. IKAR recently forecast their 2016 grain crop at 96-101 MMT, without giving an individual crop breakdown. That's likely to consist of a wheat shortfall, being partially compensated for by a rise in corn production also. This assumes of course fair spring and summer growing conditions in the FSU, but at this early stage we can't really factor in anything else. 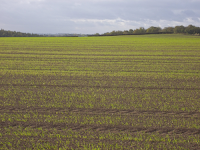 In Europe, winter wheat plantings are winding down. 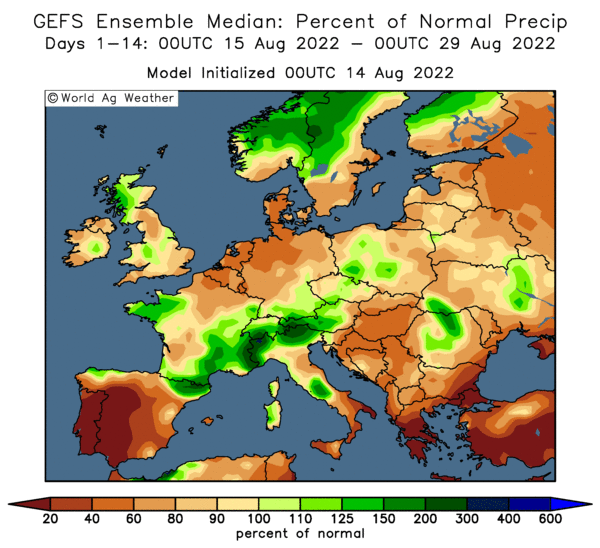 FranceAgriMer say that the French crop was 95% sown as of Monday, and that 97% of the crop is rated good to very good - so there's no early cause for concern there in Europe's largest producing nation. 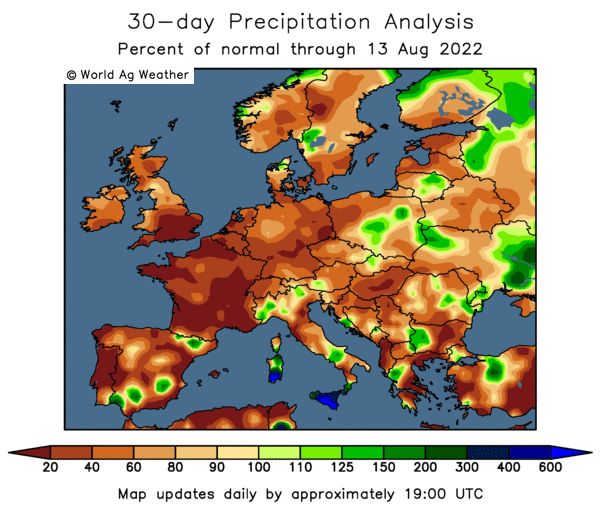 There are reports of one or two areas of dryness concern in Europe - parts of Poland for example - but crops here seem largely well established ahead of winter. The near GBP14.00/tonne premium currently on offer for Nov 16 London wheat over the front month Nov 15 looks tempting as it represents almost 12.5% gain. That's also a lot better than a less than 7% premium on offer in Paris for Dec 16 wheat over the Dec 15 market. 12/11/15 -- Soycomplex: Beans closed with small gains. Demand remains good. The USDA announced 300,000 MT of US beans sold to China for 2015/16 shipment under the daily reporting system. There's talk that China’s November bean imports could reach 6.5-7.0 MMT, up from 5.53 MMT in October. That would take imports in the first 11 months of the calendar year to around 72 MMT. The USDA's regular weekly export sales report is delayed a day until tomorrow. The trade is looking for bean sales of around 600,000 MT to 1 MMT along with meal sales of maybe 150-350 TMT. The Buenos Aires Grain Exchange estimated Argentine soybean planting progress at around 20% complete versus 8.7% complete a week ago and 16.8% a year ago. CGG Trading said Brazilian farmers have already sold 50% of their 2015/16 bean crop. Egypt's GASC cancelled a tender to buy soybean oil and sunflower oil for December shipment citing high prices. The NOPA October crush report comes out on Monday. The trade is looking for a crush figure of around 161 million bushels versus 157.96 million a year previously. 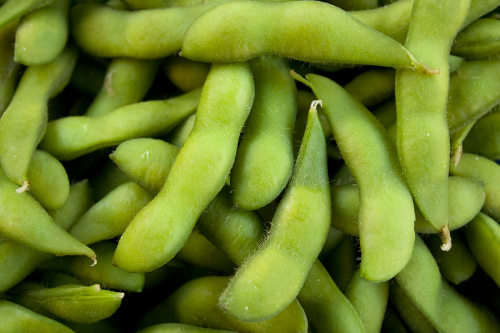 Nov 15 Soybeans settled at $8.69 1/4, up 3/4 cent; Jan 16 Soybeans settled at $8.63, up 2 1/4 cents; Dec 15 Soybean Meal settled at $291.40, down $2.60; Dec 15 Soybean Oil settled at 27.44, up 26 points. Corn: The corn market closed with minor losses of a fraction of a cent. Fresh news was pretty scarce. The one day delayed weekly ethanol production report from the US Energy Dept showed output up 13,000 barrels per day versus last week to 982,000 barrels per day. The Rosario’s Grain Exchange estimated Argentina’s 2015/16 corn crop at 20.2 MMT, down 22% from last year. The Buenos Aires Grains Exchange said that planting is 36.5% complete, up only marginally from 35.9% complete a week ago. They estimate Argentina’s final corn planted area at 2.72 million ha, unchanged from previously and down 20% from 3.4 million ha in 2014/15. CGG Trading said Brazilian farmers have already sold 45% of their 2015/16 corn crop, which is a record for this time of year. The Ukraine Ag Ministry said that the country's 2015 corn harvest now stands at 20.27 MMT off 89% of the planned area. Russia's corn harvest is said to be 85.2% complete at 11.9 MMT. FranceAgriMer estimated France’s 2015/16 corn crop at 13.0 MMT, unchanged from their previous estimate. They see 2015/16 ending stocks at 2.3 MMT, also unchanged from previously. Trade estimates for tomorrow's weekly export sales report on corn are 450-650,000 MT. Dec 15 Corn settled at $3.62, down 1/4 cent; Mar 16 Corn settled at $3.69 1/2, down 1/2 cent. Wheat: The wheat market closed mixed. Demand for US wheat remains slack in the face of strong global competition from the Black Sea, Europe and elsewhere. The firm US dollar doesn't help. Weekly export sales tomorrow are only called to be in the region of 200-350 TMT. Japan bought 119,415 MT of food wheat for February shipment split between US, Canadian and Australian origin. The Rosario’s Grains Exchange estimated Argentina’s 2015/16 wheat crop at 9.4 MMT versus a previous estimate of 9.3 MMT. The Buenos Aires Grains Exchange said that the 2015/16 Argentine wheat harvest was 7.1% complete versus 4.5% a week ago. They estimated Argentina’s wheat crop at 9.5 MMT, unchanged from previously and down 19% from 11.75 MMT in 2014/15. The USDA's attaché in China estimated the country's 2015/16 wheat crop at a record high 130 MMT. Jordan bought 100,000 MT of optional origin wheat for January shipment and are tendering for a similar volume of option origin barley for April shipment. The results of an Algerian wheat tender for January shipment are imminent. FranceAgriMer estimated France’s 2015/16 soft wheat stocks at 5.2 MMT versus a previous estimate of 4.8 MMT and now more than double what they were at the end of 2014/15. Dec 15 CBOT Wheat settled at $4.98, up 3 1/4 cents; Dec 15 KCBT Wheat settled at $4.63 3/4, down 1/2 cent; Dec 15 MGEX Wheat settled at $5.05 1/4, up 3 1/2 cents. EU Grains Mostly Lower, Is Weak Euro Finally Set To See Exports Pick-Up? 12/11/15 -- EU grains closed mostly a touch lower. Yesterday's partial victory for French wheat in the second GASC tender of the week offers some hope that EU exports might finally be starting to pick up, but there's already a lot of lost ground to make up. At the close, Nov 15 London wheat was down GBP0.10/tonne at GBP112.90/tonne. In Paris, Dec 15 wheat was EUR2.25/tonne lower at EUR179.25/tonne, Jan 16 corn was EUR0.50/tonne easier at EUR167.00/tonne and Feb 16 rapeseed fell a euro to EUR374.75/tonne. There are signs that last week's mini-wobble for sterling against the euro may only have been temporary. The pound hit 1.42 against the single currency today before falling back a little, but a test of the 1.43-1.44 region could be on the cards over the coming weeks it is thought. That should facilitate a pick up in euro-priced wheat exports into the second half of the season, although these are currently well behind where they were a year ago. Brussels announced that they'd issued 401 TMT worth of soft wheat export licences this past week, up by more than a third from slightly less than 300 TMT a week ago. Still, the cumulative season-to-date total still lags the pace of a year ago by 31% - and the USDA this week suggested that figure would be less than -7% come the end of the season. Highlighting the concern over exports, FranceAgriMer today added 400,000 MT to their forecast for French soft wheat ending stocks this season to 5.2 MMT, more than double what they were at the end of 2014/15. FranceAgriMer estimated the country's 2015/16 barley stocks at 2.0 MMT versus a previous estimate of 1.7 MMT. They see corn carryout unchanged from previously at 2.3 MMT. Of course, if euro weakness does continue into at least the first half/quarter of 2016 as many analysts are predicting, then it still won't help UK wheat exports- quite the opposite in fact. "Unfortunately, the UK is suffering from both poor trade progress to both EU and non-EU countries and indeed was a net importer of wheat for the first quarter (Jul-Sep) of 2015/16. In July-October 2014, the UK had exported around 135 TMT of wheat to North Africa plus 26 TMT to the US. 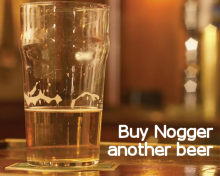 This season, non-EU export licenses issued to the UK were less than 6 TMT by end-October, indicating a far more restricted non-EU export campaign to date," note the HGCA. Jordan bought 100,000 MT of optional origin wheat for January shipment and are tendering for a similar volume of option origin barley for April shipment. The results of an Algerian wheat tender for January shipment are imminent. Ukraine weather conditions meanwhile are improving, although it is now very late in the day for winter grains it has to be said. Temperatures are forecast as much as 5C above normal for the time of year across the next 14 days, and rains are also expected. 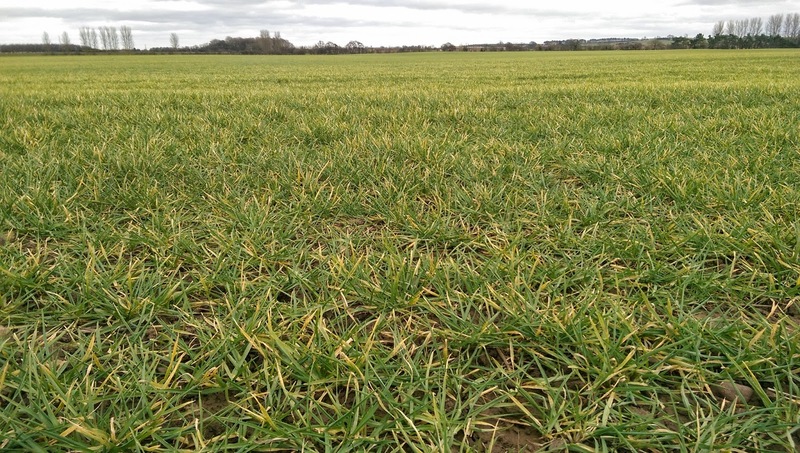 This should benefit crops ahead of dormancy, although an estimated 30% of the winter wheat sown area has yet to emerge, according to Agritel. The Ukraine Ag Ministry said that the country's 2015 corn harvest now stands at 20.27 MMT off 89% of the planned area. That takes this year's total grain harvest to 58.15 MMT versus 60.37 MMT this time a year ago. Russia's corn harvest is said to be 85.2% complete at 11.9 MMT. Winter grain plantings there are 400,000 ha behind last year's pace at 16.2 million ha. 11/11/15 -- Nov 15 Soybeans settled at $8.68 1/2, up 4 cents; Jan 16 Soybeans settled at $8.60 3/4, up 5 1/4 cents; Dec 15 Soybean Meal settled at $294.00, up $1.80; Dec 15 Soybean Oil settled at 27.18, down 9 points. Dec 15 Corn settled at $3.62 1/4, up 3 1/4 cents; Mar 16 Corn settled at $3.70, up 2 cents. Dec 15 CBOT Wheat settled at $4.94 3/4, up 4 cents; Dec 15 KCBT Wheat settled at $4.64 1/4, up 3 1/2 cents; Dec 15 MGEX Wheat settled at $5.01 3/4, up 4 1/4 cents. 11/11/15 -- EU grains closed mixed but mostly a touch higher on the day. At the finish, Nov 15 London wheat was down GBP0.30/tonne at GBP113.00/tonne. In Paris, Dec 15 wheat was EUR0.75/tonne higher at EUR181.50/tonne, Jan 16 corn was down EUR0.25/tonne EUR167.50/tonne and Feb 16 rapeseed was up EUR1.00/tonne to EUR375.75/tonne. Egypt's GASC bought 120,000 MT of wheat for December shipment, split one cargo each of Russian and French origin. Rusagrotrans said that the country had planted 16.2 million ha of winter grains so far, and that the final area sown would probably end up at 16.3-16.4 million ha, a bit below last years level. They see total Russian winter grains production at 46.5 MMT versus 48.3 MMT this year. Russian seaports are reported to have exported 24.9 MMT Jan/Oct, a small 2.4% increase on the same period in 2014. 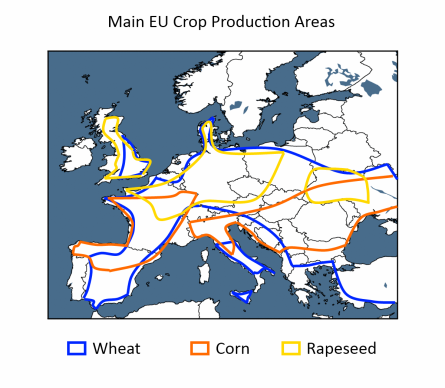 A German organisation, UFOP, estimated the winter rapeseed area there for the 2016 harvest at 1.339 million ha versus 1.284 million a year previously. 10/11/15 -- Soycomplex: Beans closed sharply lower as the USDA surprised the market by raising final US yields this year by 1.1 bu/acre to a new record 48.3 bu/acre. Production was also pegged at an all-time high 3.981 billion bu. The average trade estimate was for production of around 3.914 billion bushels with yields at 47.5 bu/acre. Increases of 40 million bu for exports and 10 million bu for the domestic crush still couldn't prevent projected 2015/16 ending stocks rising 40 million bu to 465 million which would be the highest since 2006/07. Brazil's and Argentina's crop were both left unchanged at 100 MMT and 57 MMT respectively. Both had their exports raised, with Brazil up from 56.45 MMT to 57 MMT and Argentina up from 9.75 MMT to 10.75 MMT. India's crop was dropped 1.5 MMT to 9.5 MMT. China's imports were raised to a new record 80.25 MMT from 79.5 MMT previously. World ending stocks were projected smaller than last month's 85.1 MMT at 82.9 MMT, but the market seems to be looking at the fact that these are seen increasing in the US in favour of lower inventories in South America. In other news Brazil's CONAB estimated their 2015/16 soybean crop at 101.2-102.8 MMT versus a previous estimate of 100.1-101.9 MMT. They estimated soybean exports at 55.0 MMT versus a previous estimate of 53.0 MMT and 52.6 MMT a year previously. Safras e Mercado said Brazil's soybean planting is 42.3% complete versus 46% a year ago and 57.2% on average at this time. Nov 15 Soybeans settled at $8.64 1/2, down 9 cents; Jan 16 Soybeans settled at $8.55 1/2, down 10 3/4 cents; Dec 15 Soybean Meal settled at $292.20, down $2.80; Dec 15 Soybean Oil settled at 27.27, down 50 points. 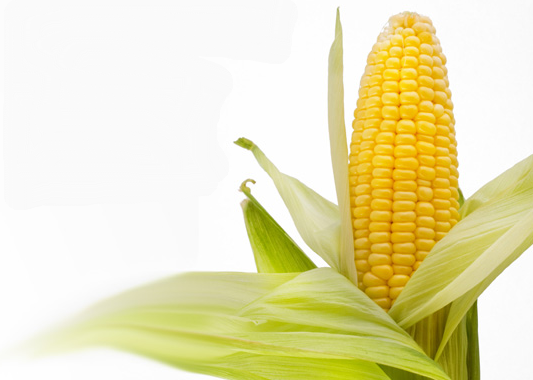 Corn: The corn market settled around 7-8 cents lower following a bearish USDA report. That pegged US 2015 corn production at 13.654 billion bu, the third largest production ever with a yield of 169.3 bu/acre - the second largest on record. The average trade guess for US corn production was 13.564 billion bu (the USDA were 13.555 billion last month) and a yield of 168.2 bu/acre (the USDA were 168.0 bu/acre in October). US corn exports for 2015/16 were lowered 50 million bu, reflecting the slow start that these have got off to this season. US ending stocks for 2015/16 were forecast at 1.760 billion bushels. The average trade estimate for those was only 1.597 billion bu, from within a range of estimates of 1.461-1.702 billion and the USDA's October estimate was 1.561 billion. World corn ending stocks came in well above the high end of trade expectations at nearly 212 MMT, up around 24 MMT from a month ago. The average trade estimate for those was only 188.43 MMT. Argentina's crop was raised from 24.0 MMT to 25.6 MMT, and Brazil's was increased from 80.0 MMT to 81.5 MMT. Ukraine's was cut from 25 MMT to a more realistic 23 MMT. CONAB estimated Brazil's total corn crop at 81.1-82.7 MMT versus a previous estimate of 82.6-83.6 MMT. They estimated corn exports at 28.0 MMT versus 29.7 MMT a year ago. An article on Reuters said that Argentine grains output could be at least 30% higher by 2019 if presidential front runner Macri wins this month’s election run-off on November 22nd and keeps his promises to cut export taxes and state controls that have weighed on production there in recent years. Russia said that their 2015 corn harvest was 83.1% done at 11.7 MMT. Ukraine said that they'd exported just over 3 MMT of corn so far this marketing year. Dec 15 Corn settled at $3.59, down 7 3/4 cents; Mar 16 Corn settled at $3.68, down 8 cents. Wheat: The market closed lower, in line with falling beans and corn. Today's USDA report was always going to be more about the latter two than wheat, but the USDA didn't do wheat any favours either. US exports for 2015/16 were lowered 50 million bu to 800 million and ending stocks were raised correspondingly to 911 million bu. World ending stocks were lowered a bit more than 1 MMT to a still very ample 227.3 MMT. Europe's 2015 crop was raised to a new all-time high 157.3 MMT. Europe's exports were raised by 0.5 MMT to 33.5 MMT, on the expectation that these will pick up in the second half of the season. Canada's were increased 1 MMT and Australia's were lowered 1 MMT. There were no changes to exports for Russia, Ukraine or Kazakhstan. Egypt passed on French wheat booking a cargo each of Russian and Ukraine origin material for December shipment. They are said to be back in the market again tonight for more. Japan are tendering for 119,415 MT of food wheat for February shipment split between US, Canadian and Australian origin. Analysts in Australia said heavy rains in the country's east coast are not expected to cause large-scale quality downgrades to wheat. Their 2015/16 harvest is said to be around 15% complete. UkrAgroConsult estimated Russia’s 2015/16 wheat exports at 21.5 MMT versus the 2014/15 total of 22.3 MMT. They said that 34% of Russia’s winter crops are in good condition versus 56% a year ago. In Ukraine they said that only 29% of winter grain crops are in good condition versus 41% a year ago. They said 31% of Ukraine’s winter grain crops are in poor condition versus 17% a year ago. Agritel said that in the south of Ukraine germination in some winter grains in less than 50%. Dec 15 CBOT Wheat settled at $4.90 3/4, down 11 cents; Dec 15 KCBT Wheat settled at $4.60 3/4, down 13 1/4 cents; Dec 15 MGEX Wheat settled at $4.97 1/2, down 6 3/4 cents. 10/11/15 -- It was another bad day for the EU wheat market, led down by falling US prices. At the close, Nov 15 London wheat was down GBP1.45/tonne at GBP113.30/tonne, Dec 15 Paris wheat was down EUR3.00/tonne at EUR180.75/tonne, Jan 16 Paris corn was EUR1.75/tonne weaker at EUR167.25/tonne, whilst Feb 16 Paris rapeseed fell EUR0.75/tonne to EUR374.75/tonne. Egypt's GASC bought one cargo each of Russian and Ukraine wheat for Dec 11-20 shipment in their tender this afternoon. The average price paid was reported at $210.41/tonne C&F. Russia said that their 2015 wheat harvest was 99.8% done at 63.9 MMT, along with a barley harvest that was 99.9% complete at 18.3 MMT (both in bunker weight). They've also reportedly brought in 83.1% of this year's corn harvest for a crop if 11.7 MMT to date. The Russian Ag Ministry indicated that winter plantings for the 2016 harvest are still ongoing, now 95% complete on 16.2 million ha versus 16.5 million ha a year ago at this time. Worries remain over the state of these newly planted winter crops going into the ground so late. The situation in Ukraine is possibly even more concerning. 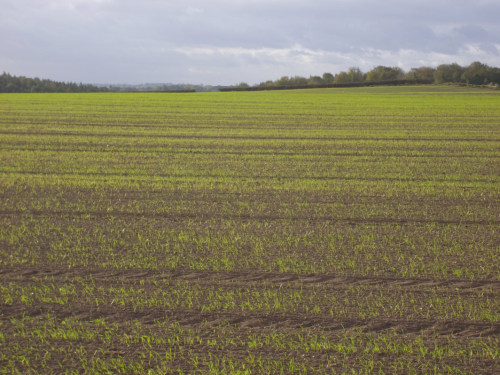 Agritel report that less than 50% of many winter planted crops in the south of the country have yet to germinate. Late in the afternoon the USDA raised their estimate for the EU-28 2015 wheat crop by 2 MMT to a new record 157.3 MMT, and increased export potential to 33.5 MMT from 33.0 MMT previously, and down only 5.4% on last season's record. The latter comes despite the fact that exports so far this season lag a year ago by 31%. The export pace is expected to pick up in the second half of the year, they said. Russia's 2015 wheat crop was lowered from 61.0 MMT to 60.5 MMT. Their exports, along with those from Ukraine and Kazakhstan were left unchanged. The Ukraine Ag Ministry said that the country had exported 14.55 MMT of grains so far this seasn, including 7.96 MMT of wheat, 3.47 MMT of barley and 3.06 MMT of corn. 09/11/15 -- Soycomplex: Beans closed mixed but mostly around a cent or two lower. The USDA announced the sale of 126,000 MT of US soybeans to unknown destinations for 2015/16 delivery, along with another 256,740 MT being switched from unknown destinations to China. Customs data from the latter shows that they imported 5.53 MMT of beans in October, up 35% from a year previously. Their calendar year imports (Jan/Oct) are now 65.18 MMT, a 15% rise compared to the same period in 2014. Weekly export inspections came in at a very respectable total just in excess of 2 MMT, underlying the strong demand at these levels theme. The USDA's FAS in Brazil cut their forecast for production there in 2015/16 to a still record 98.5 MMT citing planting delays. Plantings in the leading state of Mato Grosso are the slowest in the last 5 years, and the east of the state is only 15% done versus 40-50% normally, they said. Ukraine said that their 2015 soybean harvest was 96% complete at just over 3 MMT. After the close the USDA said that the US 2015 harvest was now 95% complete, up 3 points from a week ago, 6 points ahead of last year and 2 points more than the 5-year average. The trade is looking for increased US soybean yields and production in tomorrow's USDA WASDE report. The average trade estimate for production is around 3.914 billion bushels with yields at 47.5 bu/acre versus the USDA’s October numbers of 3.888 billion and 47.2 bu/acre. This day a year ago the USDA raised soybean yields by 0.4 bu/acre from their October estimate. Nov 15 Soybeans settled at $8.73 1/2, up 2 1/4 cents; Jan 16 Soybeans settled at $8.66 1/4, down 1 cent; Dec 15 Soybean Meal settled at $295.00, down $0.70; Dec 15 Soybean Oil settled at 27.77, down 27 points. 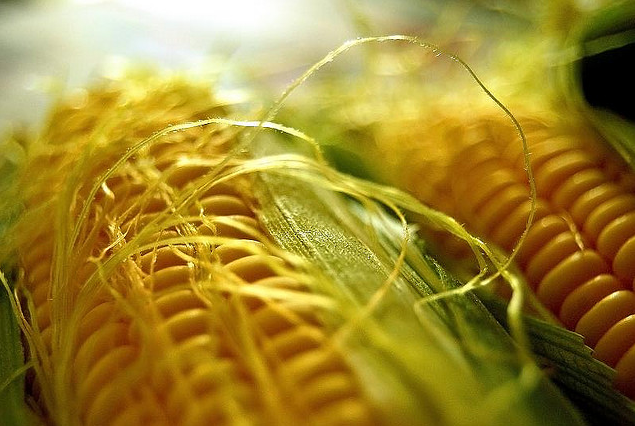 Corn: The corn market closed with losses of around 6 cents. Weekly export inspections of only 295,701 MT were down 38% from the previous week and provided little support. The current cumulative pace is 25% behind this time last year. The USDA reported the 2015 US corn harvest at 93% complete versus 85% a week ago, 88% on average and only 78% done this time last year. Bloomberg reported that Japan imported 9.7 MMT of corn in the first 8 months of 2015, with 8.37 MMT, or 86%, of that coming from the US. Imports from Brazil by contrast were only 878 TMT (9%) and from Ukraine 336 TMT (3.5%). They are now expected to pick up their imports from the latter two suppliers, at the expense of US origin material, in the final quarter of 2015 due to price considerations. Both Brazilian and Ukraine corn are said to offer savings of around $10/tonne over US corn. Ukraine said that it's 2015 corn harvest was now 86% complete at 19.3 MMT. That implies final production of 22.44 MMT, not the 25 MMT that the USDA currently predict. They will of course have an opportunity to revisit that number in tomorrow's WASDE report. In that, the average trade guess for US corn production is 13.564 billion bu (the USDA were 13.555 billion last month) and a yield of 168.2 bu/acre (the USDA were 168.0 bu/acre in October). A year ago the USDA surprised the trade by lopping 0.8 bu/acre off final US corn yields in their November report. Spanish analysts AgroInfoMarket estimated corn production there in 2016 at 10.92 MMT versus 10.40 MMT this year. They see 2016/17 Spanish corn imports at 6.1 MMT versus 6.25 MMT this season, and ending stocks at 764 TMT compared to 738 TMT in 2015/16. Dr Cordonnier reports that the Brazilian states, Mato Grosso, Goias, and Tocantins are contemplating placing a 12% export tax on corn, soybeans and other grains. Dec 15 Corn settled at $3.66 3/4, down 6 1/4 cents; Mar 16 Corn settled at $3.76, down 5 3/4 cents. 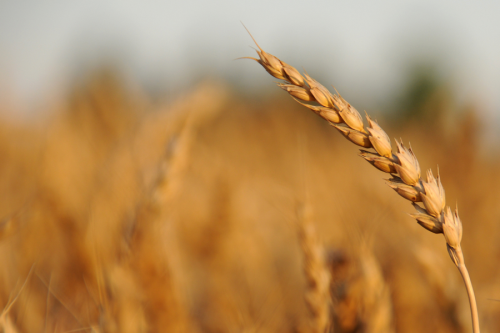 Wheat: The wheat market closed sharply lower across the three exchanges. Weekly export inspections of 282.6 TMT were better than a week ago, but hardly stellar. Year to date inspections are 18% down versus 12 months previously, they may need to revise those already low expectations even lower tomorrow. Wheat exports from Ukraine seaports were 463.3 TMT last week, report APK Inform. From Russian seaports they were 507.4 TMT. Russian customs data shows that they have exported 16.38 TMT of wheat since the new 2015/16 season began on Jul 1. US wheat exports to Oct 29 are only around half of that at 8.7 MMT. "A disappointing winter wheat crop has been gathered in the United States this season continuing a trend of smaller wheat harvests. A succession of smaller harvests are having a negative impact on wheat exports, as well. The 1.44 billion bushels of (winter) wheat gathered in the 2015 harvest is down from 1.51 billion bushels, the previous 5-year average. Winter wheat production has been declined – not due to poor yields but rather shrinking acreage. Most of the blame goes to Kansas, the leading US wheat state. The trend in shrinking wheat acres began several years ago. Producers in Kansas have chosen to diversify their crops, planting less wheat in favour of corn, soybeans and sorghum," said Martell Crop Projections. Winter wheat crop worries in Ukraine and Russia remain about the only supportive factor around at the moment. Ukraine say that their winter wheat crop is only 90% planted on 5.57 million ha. UkrAgroConsult say that only 29% of the crop is in good condition versus 41% this time last year. The USDA reported US winter wheat plantings for the 2016 harvest at 92% complete after the close, up 4 points on a week ago but 2 points behind the 5-year average. Emergence is in line with average at 80%. Good to excellent conditions improved 2 points to 51%. Dec 15 CBOT Wheat settled at $5.01 3/4, down 21 1/2 cents; Dec 15 KCBT Wheat settled at $4.74, down 16 1/4 cents; Dec 15 MGEX Wheat settled at $5.04 1/4, down 14 1/2 cents. 09/11/15 -- EU grains were mixed, but mostly a bit lower in morning trade, although a weaker tone to US markets once they opened - led by wheat - filtered through into afternoon dealings and everything closed on the red. Breaking outside of the recent range-bound region that we had been stuck in since the last day of September (EUR175-181/tonne) seems to have tired Paris wheat out, at least for the time being. At the close, Nov 15 London wheat was down GBP0.25/tonne at GBP114.75/tonne. In Paris, Dec 15 wheat was EUR2.00/tonne lower at EUR183.75/tonne, Jan 16 corn was EUR3.00/tonne easier at EUR169.00/tonne and Feb 16 rapeseed crashed EUR6.25/tonne to EUR375.50/tonne. After hitting close to 1.42 against the euro last week, the pound seems to have stabilised for now around the 1.40 mark versus the single currency. Whether sterling can hold at or around that level will now be interesting The fact that the UK interest rate outlook has become much more unclear than it seemed a week ago could mean that there's a bit more downside for the GBP/EUR yet due to the overbought nature of sterling. That could provide some abeit modest support for London wheat, although a bit of sterling weakness is unlikely to unlock any huge floodgates in terms of export activity. Paris wheat may have nudged north of it's recent trading range, but Nov 15 London wheat still hasn't finished outside GBP112.50-117/tonne since September 22. Demand from the livestock sector is tepid, and last week's numbers on UK Human and Industrial wheat usage hardly paint a rosy picture either as far as the demand side of the equation goes. Despite all the talk of possible problems with Russian and Ukraine winter grains, these are issues that we are many, many months away from knowing the full implications of. Both are still exporting grains nearby with gay abandon, and that is what the EU is dealing with head-to-head right now, with our own soft wheat shipments now 31% below what they were a year ago, despite a record crop to shift. APK Inform report that Ukraine seaports shipped out 715.2 TMT of grains last week, including 463,3 TMT of wheat (or 65% of the total volume), 191 TMT of corn and 60.9 TMT of barley. Russian seaports meanwhile exported 638.1 TMT of grains, of which 507.4 TMT (60%) was wheat, 33.8 TMT was corn and 93.7 TMT was barley. Russian customs data shows that the country's calendar year grain exports to date are 29.03 MMT. Wheat accounts for 60%, or 17.42 MMT, or that total. Season-to-date exports (from Jul 1) are 16.38 MMT, of which 72%, or 11.75 MMT, is wheat. Ukraine said that their 2015 grain harvest is now 96% complete at 57.1 MMT. This year's corn harvest is 86% done at 19.3 MMT, implying final production of around 22.4 MMT. The Ukraine soybean harvest is 96% complete at 3.6 MMT, and the sunflower harvest is 99% done at 10.8 MMT. Spanish analysts AgroInfoMarket estimate the 2016/17 soft wheat crop there at 5.67 MMT, up 8.6% on this year, although winter/spring rains, or the lack of, could easily change all that between now and next harvest. They see the nation's imports at 3.75 MMT, down a little on 3.88 MMT this season. The 2016/17 Spanish barley harvest is forecast 10.3% higher at 7.47 MMT, with imports dropping 27.6% to 0.55 MMT. The Spanish corn crop is seen at 10.92 MMT next year, up 4.8%, with imports falling 2.4% to 6.1 MMT.